Please seek your Reporting Officer’s approval before registering for SHBC 2019. All payment will be coordinated through your HR representatives thus no up-front payment is needed from you. (Non-Medical Staff) Jermaine Goh Jermaine_SM_GOH@ttsh.com.sg 6903 5335 Please contact your institution representative. 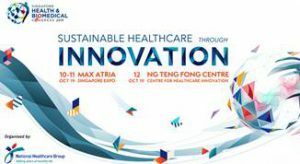 (Medical Staff) Ng Bee Siew bee_siew_ng@ttsh.com.sg 6359 6303 Please contact your institution representative. Centre Caleb Chong calebchong@nsc.com.sg – Please contact your institution representative. National HealthcareGroup Pharmacy Angie Lim Angie_Hl_LIM@pharmacy.nhg.com.sg 6340 2311 Please contact your institution representative. Mental Health Serene Kwek serene_kwek@imh.com.sg 6389 2278 Register via iHR. Click on icon to download the registration guidelines. Group Polyclinics Ting Yun Jin Yun_Jin_TING@nhgp.com.sg 6496 6706 Register via iHR. (Corporate Office) Chevelle_Th_TEO@nhg.com.sg 6496 6873 Register via iHR. Institution Name Email Address Contact No. If you are not funded by the institution, you may register via the online portal. Please select National Healthcare Group Pte Ltd as the Organisation and select your respective institution.